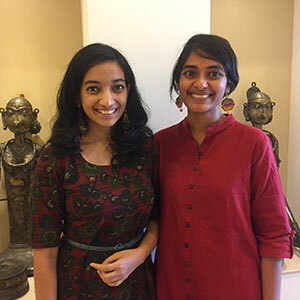 Hyderabad-based Vandyaa Lakkaraju and Rekha Mutyala, design graduates from National Institute of Fashion Technology, focus on reviving the traditional Indian handicraft industry through their venture, Ishma. Ishma brings authentic handcrafted products from rural craftspeople to urban market spaces. India, the ‘land of diversities,’ is famous for its arts and craftsmanship, which started during the Indus Civilisation where people started making beads, ornaments, pottery and so on. For centuries, the knowledge over handicrafts has passed from one generation to another, but for this chain to continue, the artisans needed to understand the current market trends and make suitable products. With the growing technological trend, the people are growing used to buying mass manufactured products which are often cheaper. This attitudinal change has forced many artisans to leave this profession and search for an alternative income. But, the solution to these problems will come only when one has a complete grassroots level understanding of the industry. Vandyaa Lakkaraju and Rekha Mutyala have understood the root cause of the issue. In their second year, they were sent to the various handicraft villages in Andhra and Telangana where they worked with the artisans. “During our visit to these villages, we studied their art culture but it was shocking as they were reluctant to teach their children about it. The major reason for this thought process is monetary requirements which are not getting satisfied by this profession,” explains Vandyaa, Co-founder, Ishma. The two friends understood that most of the artisans were not aware of requirements of the urban market and were unaware of how to market their products to the right audience. With the passion for handicrafts and perseverance in protecting this industry, the two graduates decided that they have to create innovative products and communicate the designs to the artisans for production. They would later sell them in the metros thus ensuring continuous purchase orders to the artisans. After working for 2 years in the fashion industry, it gave them the potential to understand the market demands and they registered their enterprise as ‘Ishma Accessories’ under Limited Liability Partnership in the year 2016. “With a very minimal initial investment, we launched our first collection. We were able to sell most of the pieces and recover costs.” says Rekha. 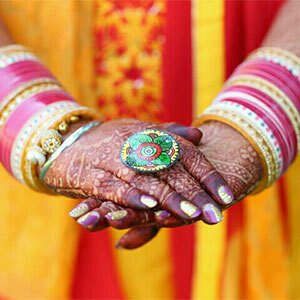 ‘Ishma’ means rebirth and the organisation want to revive crafts by giving them a new form. With this objective, Ishma an accessory design firm wanted to understand and imbibe the work of the artisans. With an initial success in selling their products, Vandyaa and Rekha moved their office from a single room to a more spacious office at Banjara Hills. “Our location plays a key role as it is right on the main road and is easily accessible to all.” opines Vandyaa. Ishma is currently working with four artisan families: Ananthapur (Leather Puppetry), Warangal (Brass Metal Work), Rangareddy (Banjara Hand embroidery) and Etikoppaka (Lacquered wood craft). Ishma is able to provide their customers with two different product lines like jewellery which includes Body jewellery, earrings, finger rings, necklaces, hand harnesses, bracelets and badges. The other product available at Ishma is lifestyle accessories such as, lampshades, fridge magnets, trinket boxes, kumkumpots, wall clocks and many more. Their work process includes identifying perishing crafts, studying and learning the craft, designing new and relevant products, communicating the design to the artisans, purchase orders and finally help the artisans in selling the assembled and finished products in the market. In the upcoming years, the two grads are trying to expand their tie-ups with artisans in other craft villages. They majorly sell in urban cities like Hyderabad, Bengaluru, Kolkata, Delhi. Ishma products are available both online and offline. The customers can directly buy their products from their office and on their own website www.ishma.in. “We are going to increase the number of products as the demand has been steadily increasing. We have been able to gear up our profit in e-commerce websites like jaypore.com or novica.com (e-commerce handle of National Geographic) and are in the verge of expanding it to neighbouring states,” concludes Vandyaa.